In the 100 years that we have been serving Rhode Islanders, there have been nineteen presidents, six wars, the U.S. population has quadrupled, and four states were added to the union. Radio, television, and automobiles have become common in every household and airline flight was commercialized. We have explored outer space, landed on the moon, and photographed Mars. Medical science has made incredible progress: developing dozens of vaccines, inventing critical diagnostic and imaging technology, transplanting hearts, replacing limbs, birthing babies from test tubes, and cloning a sheep. Better nutrition and treatment have contributed to increasing the average life expectancy 30 years. In that time, WellOne has grown from a single nurse in a horse and buggy caring for all the villages in Burrillville’s 60 square miles to nearly 100 employees in three locations serving nine communities covering 436 square miles. We have changed our name five times, and in response to evolving local need shifted our focus from tuberculosis care to general nursing duties to community health treatment to wellness and prevention. But through it all, one thing has not changed: our unwavering dedication to providing high quality health care to the patients we serve, regardless of ability to pay. And for every century to come, it never will. On December 21, 1909, as a result of a public meeting and to address the growing threat to the local textile mills, the Burrillville Anti-Tuberculosis Association was founded. It’s one employee, Nurse Molly Malone quickly also was caring for other sicknesses and assisting with home-based births and operations. Despite a large and rural territory, she tended to all of the villages in Burrillville either by walking, or in order to reach the mill workers and others without a comfortable income to afford a horse and thus travel far for care themselves, when possible, in a borrowed horse and buggy. And the community returned this devotion. 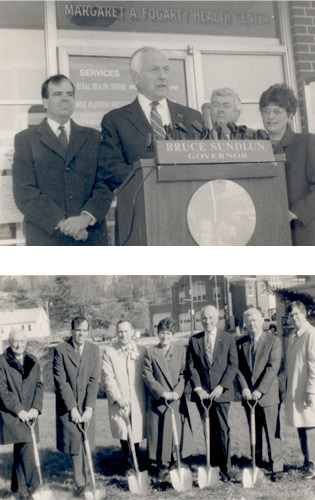 From its earliest years, WellOne owes its success to the support of the Burrillville residents and local businesses that took a proprietary interest and through volunteering, fundraising, and organizing, built the agency. In 1911 there was no cash balance, a one-day Tag Day was held to raise funds for the year. 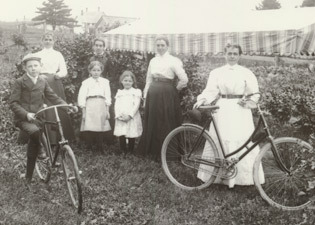 In later years, whist parties were held in various villages, a dance in Harrisville, and a benefit show at the Pascoag Theater to purchase a blood pressure cuff, awnings, lamps and desk sets for the office, while the Friendly Circle of the Baptist Church made aprons for the nurses and white envelopes for their bags. In 1917, the Pascoag Firemen even sponsored a carnival to buy WellOne a Ford Runabout equipped with a self-starting device. During this decade, WellOne first contracted with insurance companies to pay for some of its visits, accounting for up to 31% of WellOne’s budget. In the 1920’s as the threat of tuberculosis waned, WellOne turned its focus to medical and surgical nursing, obstetrics and pediatric nursing, preventive health teaching, and oral health, recognizing the importance of dental care decades before state or national efforts were applied. Child Welfare, dental, prenatal and postpartum, tonsils and adenoids, eye, and pre-school clinics were established, and a Nose and Throat Specialist worked in the Bernon Mills. Children’s health became the backbone of the prevention efforts. In 1928, the WellOne nurses went to the Harrisville School at the invitation of the PTA for a “Summer Round-up”, the predecessor to the pre-school Child Find programs. In 1933, the newly renamed Burrillville District Nursing Association instituted a preschool diphtheria immunization program. 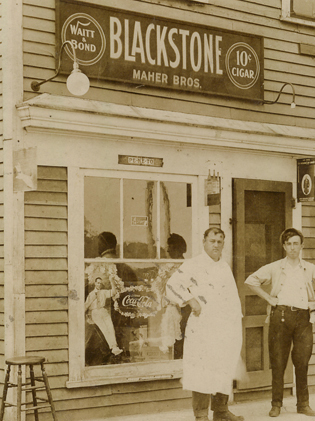 WellOne’s obstetrical program was also very active in the 1930s, with most of the deliveries in both Burrillville and Gloucester supervised by the nurses and local physicians. A full maternity clinic opened to help the new mothers. In 1934, the nurses averaged thirty-five overtime hours per week covering this service and during this decade the staff expanded to four nurses and a part-time clerical worker. Precepting student nurses from Simmons College for rural field experience also supported these services. The local community continued to support the agency with food sales, a church play, donated rent, local popularity contests and fashion shows, and an annual turkey supper. The district mills even paid the salary of a third nurse. Three important influences that continue to impact WellOne today also occurred during this time: WellOne nurses were officially instructed that patients who were unable to pay would receive a “free card” thus instituting WellOne’s long tradition of care, regardless of ability to pay; June Rockwell Levy was elected Board President in 1921, a position she held for 51 years until her death; and in 1931, Nurse Margaret Fogarty was hired in a 6-month temporary position but remained for over 40 years. The medical building in Pascoag now bears her name. At least 15 years before either the state or the country imposed immunization standards, WellOne began the practice of vaccinating every child entering school. In 1942, after the previous year’s intensive campaign during the diphtheria epidemic, the nurses surveyed the first grade to determine immunization. While the state percentage for diphtheria was 49% immunized, the survey demonstrated that Burrillville’s percentage was an impressive 61% and Glocester’s was 72%. In addition, all elementary schoolchildren were weighed and measured and individually inspected for small pox vaccinations, skin lesions, infested hair, and communicable diseases. 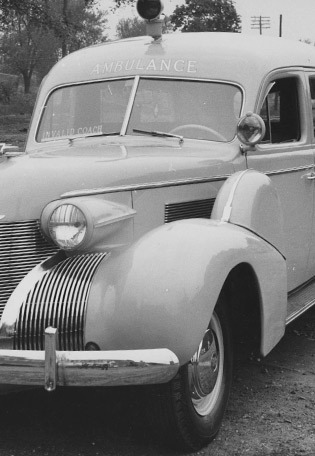 In 1943, WellOne began pertussis (whooping cough) vaccinations. In 1946, the town and WellOne developed the ambitious goal of vaccinating every child entering school against smallpox, diphtheria and whooping cough. During this period, the organization added the Town of Glocester to its service area and thus was renamed the Burrillville/Glocester District Nurses Association. A new medical facility was opened in 1954 on the Frank Potter Bridgeway. The building was constructed on land donated by the Levy family, a site that WellOne continues to occupy to this day. In 1944 Margaret Fogarty became WellOne’s nursing director and was instrumental in all management, financial, planning, and organization roles until her retirement. She focused not only on new drug techniques but addressing the issues facing the family as a whole by working closely with the clergy and service agencies in order to maintain patient comfort and recovery – even if it included milking a neglected cow. Community support continued during this time: the textile mills provided their dispensaries for dental, tonsil and adenoid clinics while the officials served as active officers; Stillwater Mill donated a well-equipped ambulance which was operated for several years with volunteer community drivers; in 1948, the mill owners supported the purchase of a new building; a grant from the town resulted in five polio clinics at which 1,800 persons were vaccinated in 1955; in 1956, WellOne was given an autoclave sterilizing unit by the Levy Foundation – the first in Rhode Island to be placed in a community setting. The Glocester Lions, the Burrillville Lions Club, The VFW Women of the Keegan-Dinagan Post, and The Salvation Army also donated medical equipment and office furniture during this time. In the 1960’s and 1970’s, WellOne continued its groundbreaking work in children’s health: in 1965, it hosted the first measles clinic in RI, for which the American Medical Association awarded first prize for a public health exhibit the next year. This was followed by the first community-wide mumps clinic in the nation in 1969. In 1975, WellOne won a $50,000 federal-state start-up grant for a comprehensive health care project aimed at children of low-income families, offering complete medical and dental exams and follow-up treatment, when needed, to an average of 75 children weekly. This program emphasized preventive medicine and taught positive health habits such as proper nutrition and safety. WellOne also tackled the most prevalent issues affecting its community: vision screening of pre-school children was developed with the cooperation of the Rhode Island Association for the Blind (1970) and a glaucoma screening, and a hearing program in cooperation with Rhode Island Hospital Speech and Hearing Clinic was introduced (1974). In response to the epidemic proportion of venereal disease, a newly funded family planning clinic opened (1972), very quickly developing a backlog of requests for services. The nurses also began to address areas previously thought to be outside the realm of the medical model, such as child abuse and alcoholism, a strategy the CDC did not embrace for another 12 years with the establishment of its Violence Epidemiology Branch. The creation of the federal Medicare and Medicaid programs during the 1960’s also ultimately would prove to have a positive profound and continuing impact on WellOne’s ability to provide services to its patients. 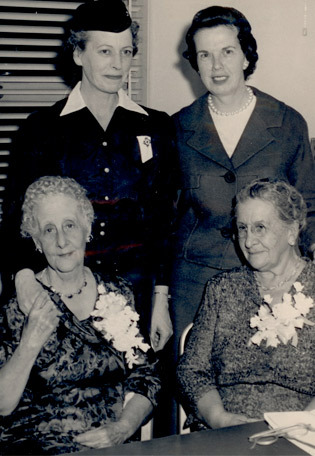 As a result of a merger with the Smithfield Public Health League in 1969, the departure of the Department of Health’s nurse from the Town of Foster and the withdrawal of the Cranston Visiting Nurse Association from the Town of Scituate, the organization was renamed Northwest Community Nursing and Health Service, Inc. and its service area was expanded to include five towns in northwestern Rhode Island. The first male professional employee was hired in 1974 as well as the first social worker. That same year as a tribute to her dedication, the headquarters in Pascoag was named in Margaret O. Fogarty’s honor upon her retirement. In 1978, two notable events occurred including the designation of WellOne as the first rural health clinic in the nation, largely through the efforts of U.S. Senator John Chafee, and the hiring of Beverly McGuire. Ms. McGuire would become CEO in 1986 and would lead the organization until her departure in 2003. In 1979, the organization established a second facility in Glocester to accommodate a medical and dental clinic, a day care, and its administrative offices. Through this time, WellOne continued to care for patients, regardless of their ability to pay, as there was expressed concern that many families still were practicing “crisis” medicine and had no family doctor. In 1964, 40% of the visits were either considered free or no charge and in 1970, an official sliding scale was first offered, a practice that continues today. By the 1980s as healthcare continued to represent a growing portion of the GDP, WellOne had a director, an assistant director, five full-time and five part-time nurses, three clerical workers, two home health aides, and a physical therapist. Due to federal policy changes, health and human services agencies suffered significant reductions in programs and funds. This translated into $100,000 of lost income for WellOne. As a result, the Glocester medical and dental clinics and the day care were closed in 1985, and other services were either decreased or discontinued. Fortunately, during this time, the demand for home visits exploded on account of a nationwide emphasis resulting from the rise of managed care and the corresponding need to limit hospital stays. Once again leading national trend, WellOne shifted the service focus of its Glocester site to the home health business, including the Maternal Child Health program, increasing annual home visits from 5,000-6,000 to over 100,000 during this 10-year span. As a result, the organization’s staffing levels increased to nearly 200 employees by 1996. The home visit bubble finally burst owing to the Balanced Budget Act of 1997 thereby triggering the demise of the VNAs nationally, and ultimately, the closing of WellOne’s home health care business and its Glocester facility in 2003. Throughout the ’90’s, WellOne continued to develop and expand its medical facility in Pascoag. An addition was constructed in 1993, which more than doubled the size of the building. Radiology services were added in 1997 to fill the region’s unmet need. Two years later WellOne raised $700,000 in state, federal, and private grants to purchase and renovate an adjoining building on Sayles Avenue to create space for added administrative, dental, and behavioral health services. A major contribution by WellOne during this era was the creation of the Neighborhood Health Plan of Rhode Island (NHPRI) in 1992. In the early 1990s, Rhode Island became the first in the nation to obtain a waiver for Medicaid managed care. Taking control of their fate, Rhode Island’s health centers worked together to found their own health plan. NHPRI has proven to be so successful that it was recently ranked the #1 Medicaid managed care plan by US News & World Report. In turn, NHPRI has played a key role in supporting WellOne. With the advent of the 21st Century, WellOne continued to evolve in response to community need while maintaining many of the innovative, high quality services that it has demonstrated throughout its one hundred year history. The initial awarding of federal funding under Section 330 of the Public Health Service Act in 2002 would prove to have a profound and continuing impact by enabling WellOne to expand its services, to offer deeper discounts to patients without health insurance, and to establish a discount pharmacy program in collaboration with CVS. In 2002, to reflect the emphasis on primary medical and dental services, the agency was renamed Northwest Community Health Care. The commitment to childhood immunization rates first demonstrated decades earlier resulted in WellOne achieving a 98% immunization rate for children ages 0 – 6 in 2006. The importance of oral health care as originally promoted in the 1920’s was reinforced by the 2002 opening of a large, state of the art dental facility in Pascoag, reducing the region’s dentist to resident ratio from 1:17,000 to 1:2,600. In 2009, WellOne opened another dental clinic in Foster, a community that lacked these services for over 20 years. Mental health was also another seriously unaddressed issue. An estimated one out of every ten residents in the region has an untreated or undiagnosed mental health condition. In 2003, WellOne opened the only practice in the area with on-site adult and child counseling, individual and family counseling, mental health and substance abuse counseling, AD/ADHD assessments, and other related services. Despite WellOne’s capacity, anticipated demand for these services continues to outpace service delivery. True to its mission of public health, WellOne continues to provide services in the community: performing annual school-based dental screenings and physical exams; serving as the School Physician and Dentist for several towns; and offering weekly blood pressure clinics at a Senior Center, periodic clinics at a local Meal Site, as well as primary care and dental services in area nursing homes. The most significant development of this decade was the combined actions in 2008 of merging with Bayside Family Healthcare, a well-respected community health center in North Kingstown, and the opening of a primary care and dental facility in Foster. As a result of these actions and the continuing expansion of its Pascoag facilities and services, the organization now includes nine Rhode Island communities in its service area and cares for more than 13,000 unduplicated patients throughout the state. In order to 1) Unite its three locations under a common banner, 2) Denote its commitment to achieving the highest attainable level of physical, psychological and social well-being for the patients and communities served through an emphasis on health and wellness in addition to treatment, and 3) Reflect the vision to be the best at what they do, the agency was renamed WellOne in 2009.